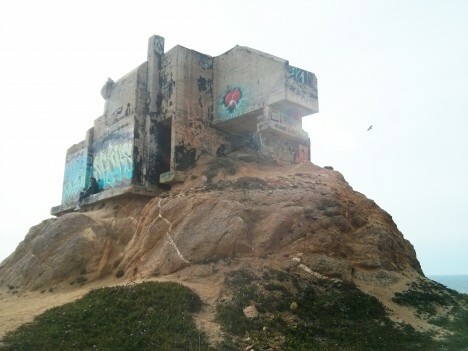 Built on Devil’s Peak (along a promontory known as Devil’s Slide), this obsolete base end station was designed to spot, triangulate and radio in sightings of enemy ships approaching the San Francisco Bay. 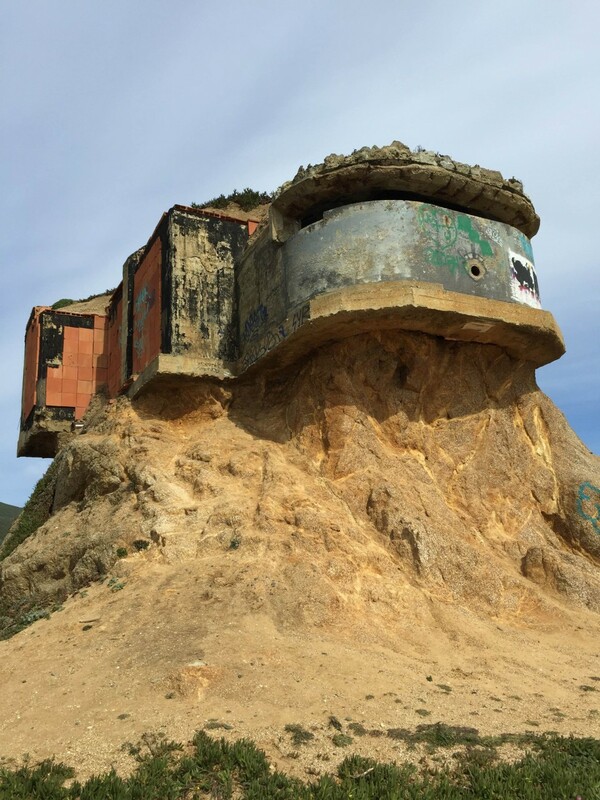 Rounding the bend along California’s scenic coastal State Route 1 from either north or south, it is impossible to miss the incredible bunker, which appears to float over the earth around it. 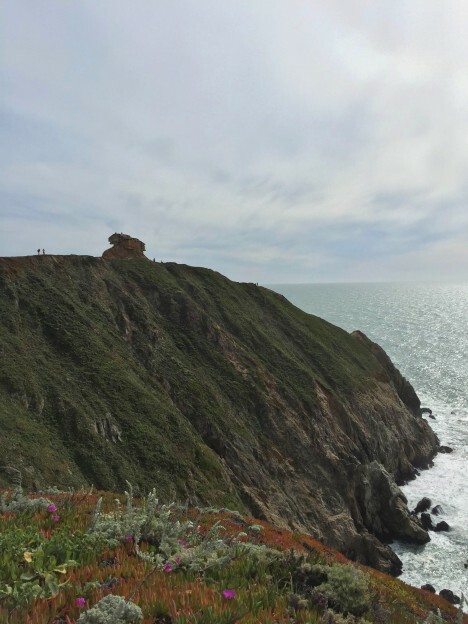 While the area is fenced off, a parking zone nearby is used by some explorers as a place from which to venture closer to the structure, located just south of Pacifica and past a hillside highway tunnel. Though this is neither safe nor recommended, it is also possible to climb into the viewing slot on the first level then walk the stairs to the top – unofficially: the view is incredible. 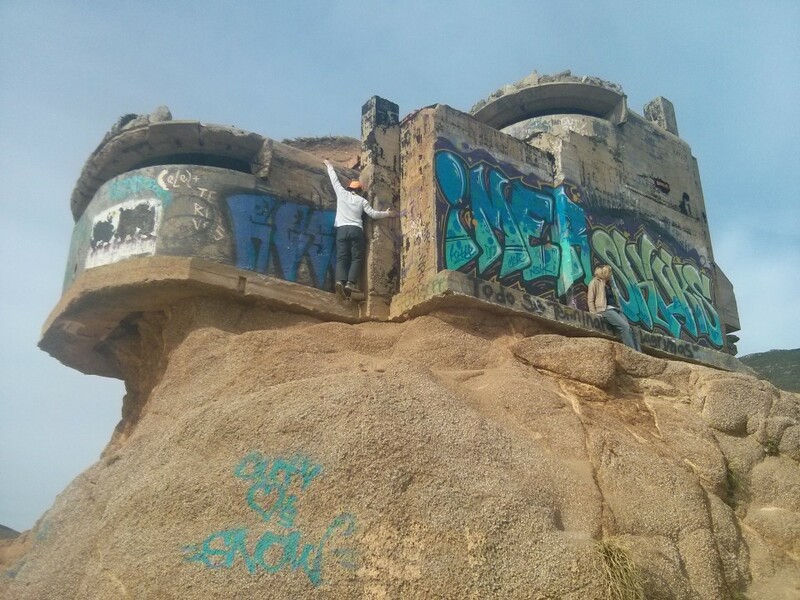 Meanwhile, the edges of the bunker have turned from supports to supported, cantilevered precariously over their surroundings, allowing you to walk up and sit under thousands of pounds of reinforced concrete. 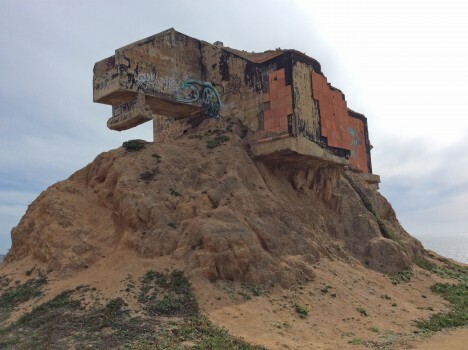 While it looks like the work of nature, the apparent erosion surrounding the lone structure is reportedly a man-made effort designed to pave the way for further development, presumably by the military. At the same time, natural causes would not be too much of a surprise or stretch, considering that this section of highway has been known to close due to everything from earthquakes to landslides – the next disaster very well might take this abandoned building with it. The land and bunker are meanwhile owned by a private party and officially off limits (though with limited fencing).